When I found out that I was going to Montreal for a work trip, it was a no-brainer for Markus and I to tack on extra days. We always wanted to visit Montreal and almost went when we lived in Florida. 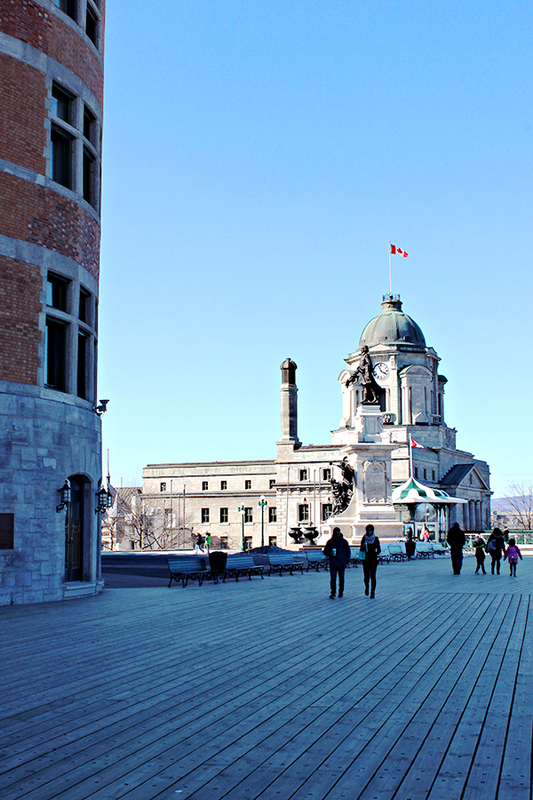 I wasn't sure I wanted to spend all week in Montreal so we decided to visit Quebec City for a few days. 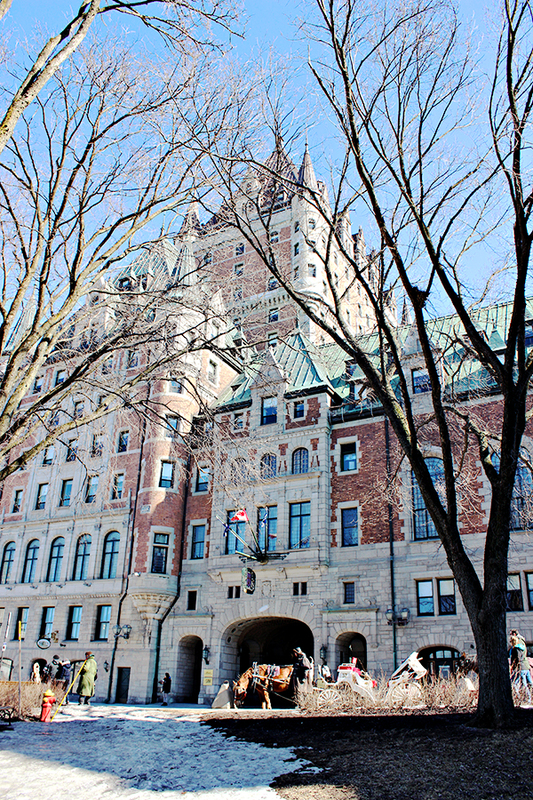 The main reason I wanted to go was to see the Fairmont Le Château Frontenac. It's been cited as one of the most photographed hotels in the world and it's easy to see why. The chateau was originally built in the 19th century within the walls of Old Quebec. It was intended to be the ideal stopover for passengers on the Canadian Pacific Railway. From pictures alone, I knew I wanted to spend some time exploring the hotel and the surrounding area. When Markus and I approached, we overwhelmed how big it was and the stunning architecture. We walked around the boardwalk for a bit and watched a group of middle school boys skateboard into tourists. After a while, we couldn't stand the cold winter winds and retreated inside, which was just as beautiful. After a bit of exploration, we found a cozy little spot next to a fire and camped out. In the future, I'll be posting about that experience!